California and New York often steal the spotlight on clean tech innovation, but those in the know are keeping their eye on Illinois. The energy sector has been undergoing rapid change in the Land of Lincoln, thanks to a slew of innovative initiatives. Illinois’ buildings are more efficient, its electric grid more modern and its electricity use smarter – and the state is just getting started. 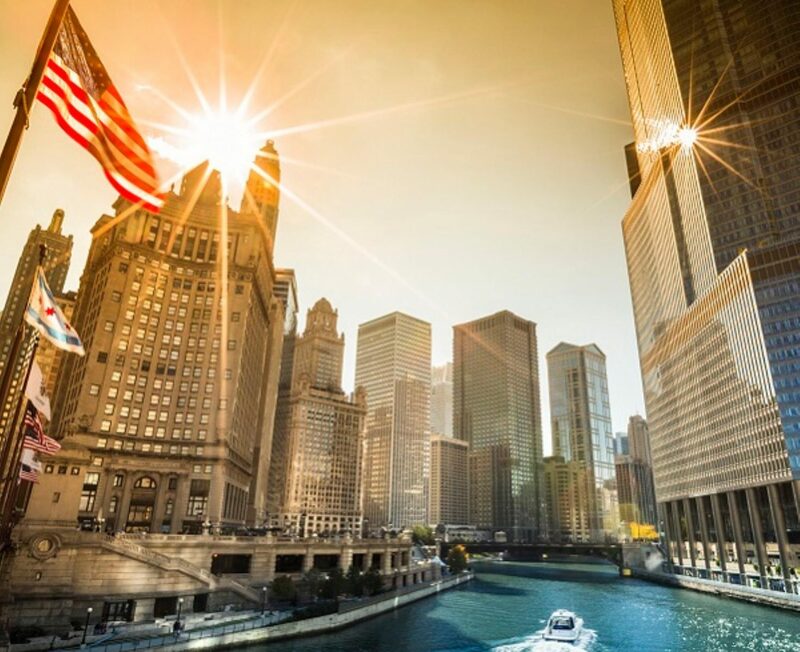 The building retrofit industry is now valued at $20 billion and Illinois is paying attention. The state topped the list of most LEED-certified buildings 2013–2015 and has remained in the top five since. The state is tapping into a huge opportunity: buildings that went up long before modern energy codes were adopted and now need efficiency updates. Today, powering all of the buildings in the United States costs more than $400 billion a year and there is room for huge savings. Chicago’s annual Energy Benchmarking Report has been tracking building energy performance isince 2013, an example of the city’s commitment to energy efficiency. Over the past two years, Chicago’s largest buildings decreased emissions by nearly 20 percent [PDF], and buildings have saved more than $39 million from lower energy use, the report found. Equipment operators at 10 large Chicago buildings are learning how their day-to-day decisions affect energy use. The collaboration between Environmental Defense Fund, the Accelerate Group and the state’s largest electric utility, ComEd, is combining real-time information, hour-by-hour energy-use targets and financial incentives. Our goal: to help building operators make more energy-efficient choices. In the most recent Grid Modernization Index, which ranks states in terms of state support, customer engagement and grid operations, Illinois came in second of all states. It’s easy to see why. As Illinois continues to invest in smart meters and other grid modernization efforts, the state’s utilities want to know the effect such investments have. Illinois was first in the country to adopt a new tool that calculates clean air benefits from advanced meters and other investments. An energy data-sharing program for ComEd, approved in 2017, also gives companies and researchers access to anonymous energy-use data from ComEd’s nearly 4 million smart meters. Data from more than 300,000 homes has already revealed that 97 percent of electricity customers would have saved money in 2016 with real-time power prices – without any changes to their electricity use. An unprecedented agreement in Illinois is set to create a first-of-its-kind tariff that will let non-utility third parties develop and manage microgrids with the option to use ComEd’s wires and poles. This decision will facilitate a whole new kind of microgrid, with the opportunity for entrepreneurs and other new players to help build out such systems. Utilities have traditionally been the gatekeepers of the infrastructure needed to accelerate development and reluctant to share or relinquish control. Soon, ComEd’s new tariff could set a new precedent. We could go on and on about all the ways Illinois is using technology, data and innovation to break down barriers and create a system where buildings and the grid are both smart and efficient. California and New York are making moves, for sure, but the Midwest is proving itself a real contender on clean energy progress, innovation and investment.